For 365 days of the year, our mothers show their love for us by driving us places, cooking us food, doing our laundry, and being our number-one cheerleader. But for one day of the year, we all get up early in the morning and show our love for our favorite women. Often, that means cooking breakfast or making brunch, or running to the store to grab a pre-selected bouquet of flowers. If you're looking to do something bigger than a breakfast that the average Yelp user would give 3 stars, there are plenty of ways to make mom feel special all day long. Besides taking her to eat, to the spa, or to the most recent rom-com in theaters, give her a gift that truly comes from the heart and shows just how much she means to you. When you wake up your mother for her annual French toast and bacon, surprise her with this homemade basket. With a printed picture of a heart, a thin piece of cardboard, wooden sticks, and a little yarn, you can easily make this beautiful basket, courtesy of Julia Elizabeth. Fill it with your mom's favorite treats, lotions, and anything else that reminds you of your favorite gal. This Mother's Day, give your mom flowers that will last as long as your love for her. These tissue paper tulips will be great to display all year round, and the leaf vase will make it the perfect decoration for your mother's kitchen window sill. While this one is a bit more labor-intensive, the guide from Paper Guru is easy-to-follow, and some of the materials can be substituted for a splash of your personal touch. You'll need a recycled container with a lid, some drinking straws, green card stock, colored tissue paper (pink used here), and some thread or ribbon. 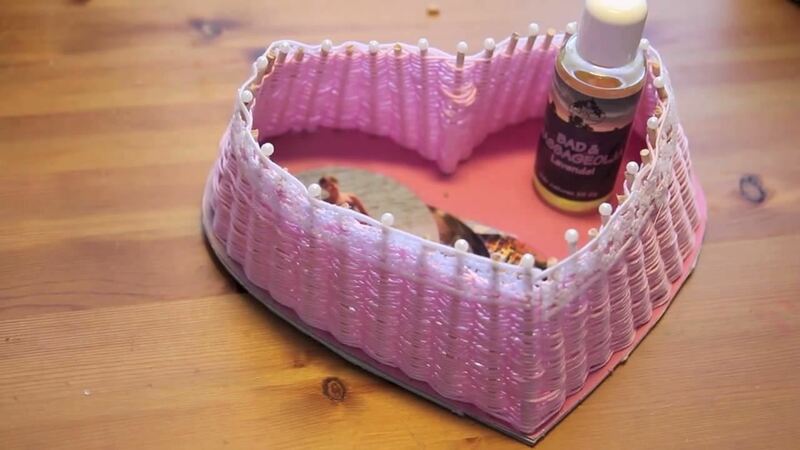 To construct this project, you'll need a ruler, scissors, glue, a craft knife, and some single- and double-sided tape. You wouldn't think paper towel cardboard tubes could be anything other than trash, but don't throw them away just yet. 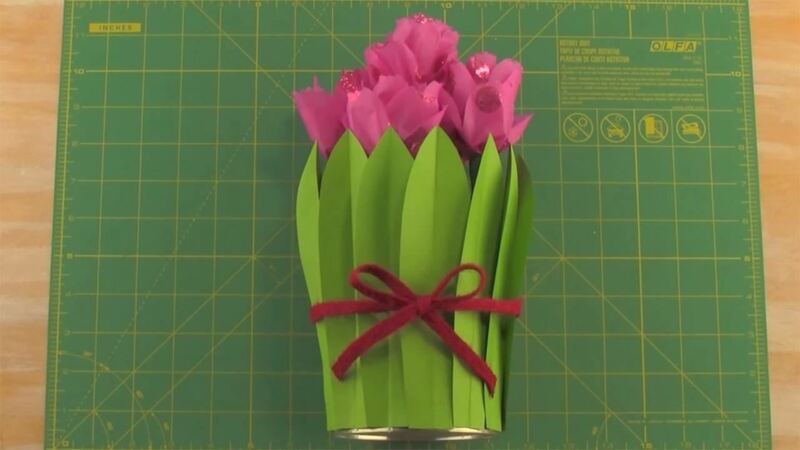 You can make flower crafts, her favorite animal, and cute hanging decorations, all from one video courtesy of What's UP Magazine. You'll need the standard supplies here—glue, construction paper, scissors, and of course, empty cardboard tubes from paper towel rolls. For the fashonista momma, this scarf is the best gift yet. If you don't have any sewing skills, have no fear! 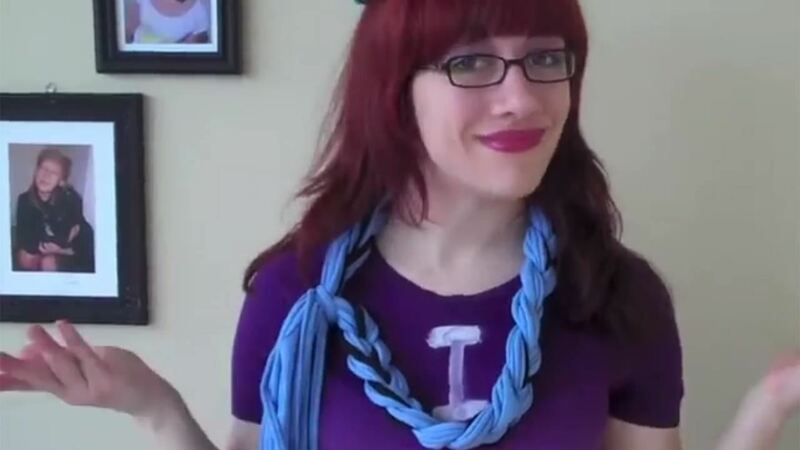 This is a no-sew tutorial from Metro Parent, and you can use an old shirt or a shirt from your childhood (big/large shirts work best) for added sentimental value. You'll also need fabric scissors, and optionally, some fabric paint. Once you've gathered everything, the process is dead-simple. Cut strips, combine them together, then start braiding. From Sky Gate Media comes a tutorial for a memory jar, a heartfelt gift any mother would adore. Using a glass jar and heart cutouts, you can write down memories, inspirations, and daily reminders that she is loved. Make a card explaining that this jar is for whenever she needs a pick me up. You can even customize the jar to her decor. After she's wiped away her crocodile tears, get ready for plenty of hugs and kisses. All you'll need for this one is some glitter pens, color paper, scissors, and a pen and pencil. The real gift here is the content, not the container, but you don't want to give your mom a shoebox. Mothers love you no matter what, but she'll probably love you even more with these wonderful gifts. These homemade items will remind any mother how loved she is by her favorite son or daughter. You've always been the favorite, after all. For more Mother's Day ideas, check out these DIY bacon roses, some flowers made of either cupcake liners or cotton swabs, this easy-to-make liquor bouquet, and more.